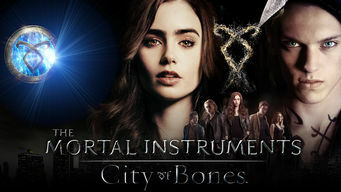 How to watch The Mortal Instruments: City of Bones (2013) on Netflix Netherlands! Yes, The Mortal Instruments: City of Bones is now available on Dutch Netflix. It arrived for online streaming on March 29, 2018. We'll keep checking Netflix Netherlands for The Mortal Instruments: City of Bones, and this page will be updated with any changes. A teen endowed with supernatural vision recruits a band of youthful human-angel hybrids to help rescue her kidnapped mother from a sinister stranger. She's celebrating her 16th birthday in a pretty unusual way: using her newfound powers to rescue Mom from demons.